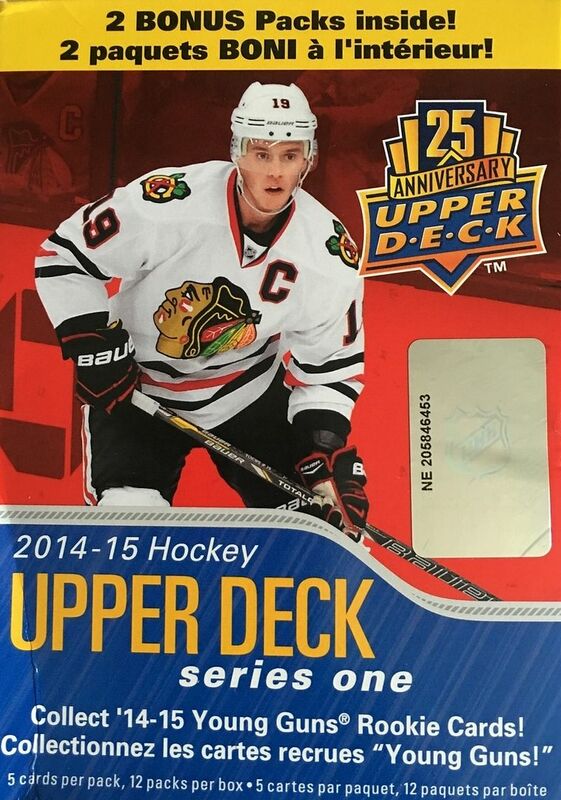 Now here's a solid product year in and year out... Upper Deck Series One. Though this product is pretty much the definition of the middle-end product, it provides collectors with desirable cards and fun inserts. Furthermore, hockey fans will especially enjoy seeing the amazing photographs from the previous season here on cardboard. I didn't get a lot of last year's Upper Deck, so getting to open up a blaster of it is exciting for me. There are so many things that might come out of a blaster of Upper Deck. Of course this box will spit out two Young Guns, but there should also be other insert cards available as well - and if I'm really lucky - maybe a jersey card. These blasters go for twenty dollars at the store, but thankfully I was able to pick them up for half that online. This blaster has 12 packs inside which makes it one of the products with the most packs to open at the retail level. These Upper Deck blasters are great fun for novice and experienced collectors alike. Most of my inserts came at the beginning of the break. In fact, I had gotten such a nice number of them at first that I thought this blaster would have more. Sadly, towards the end the packs kind of ran dry and just had base cards in them. My two Young Guns weren't really of any note, so in my top three I just randomly chose one to represent them. I was also able to get one canvas card and one Shining Star insert. Though the insert card amount was low, I still enjoyed looking at the beautiful cards and will spend more time with them after writing this review of the blaster. The Upper Deck Series One cards are always worth a good look. So I had to go with either Joey Hishon or Damon Severson in this spot. 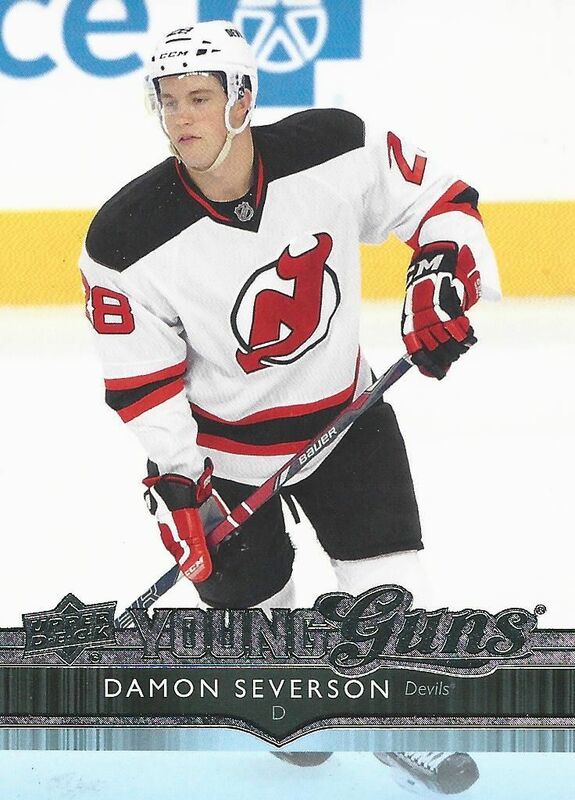 Neither Young Gun card was particularly exciting so I just randomly chose Severson to take this spot in my top three. Here was the only Canvas card in the blaster. Most of the Canvas cards show off unique photos of the players. This photo isn't particularly exciting, but it does come from a unique environment. 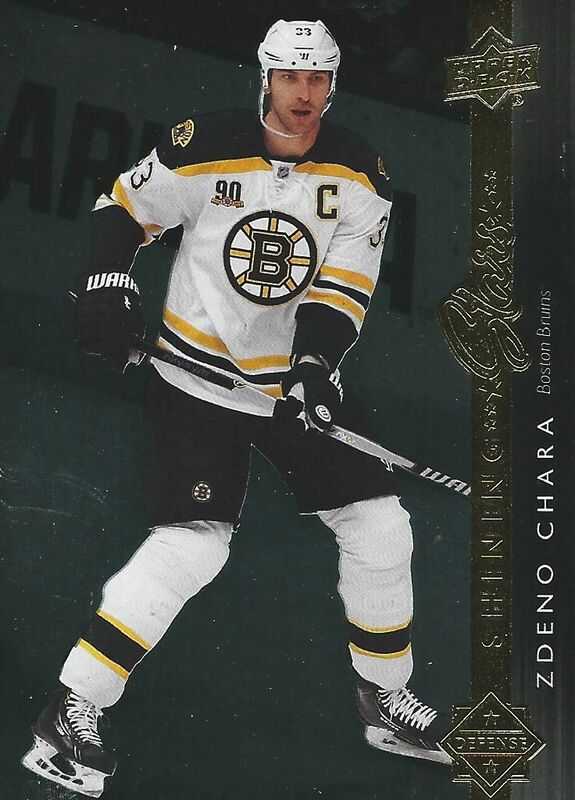 My lone insert card was this Zdeno Chara Shining Stars card. The Shining Stars are good looking all-foil cards that make for a sweet little insert within the brand. 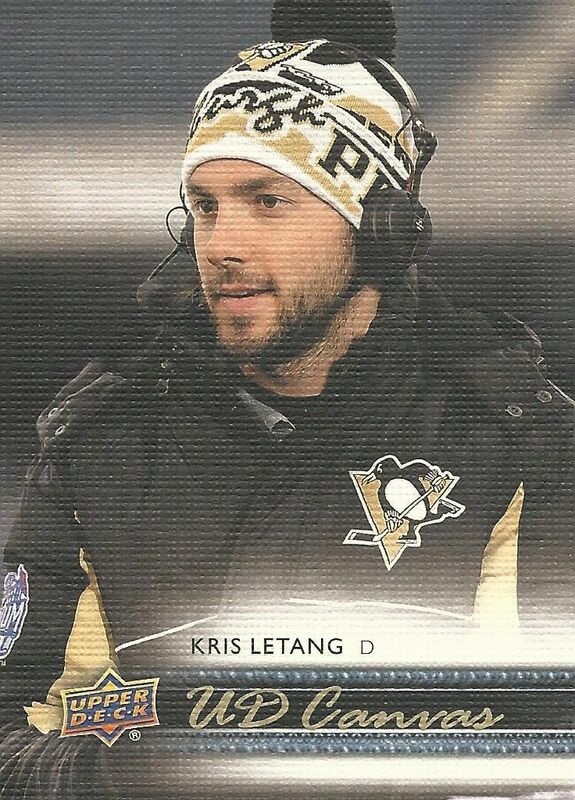 I'm not a huge Chara fan, but this was my favorite card from this blaster. This particular Upper Deck Series aOne blaster didn't have much to it, but it won't discourage me from purchasing Upper Deck Series One or Two at the retail level. The fact that two Young Guns come out of every blaster is definitely a good thing. I just hope that my luck will be better in the next blaster box I get.